Linda joined the Whitefish Community Foundation in 2008. She has over 17 years of nonprofit experience as well as a strong background in arts administration. 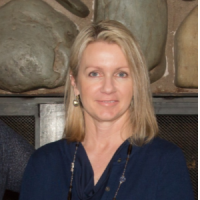 She holds a BA from the University of Utah and worked in the for-profit financial sector for four years before moving to Whitefish, Montana in 1993. Under her direction, the Foundation’s community grant programs have grown to award over $600,000 annually and assets now exceed $28 million. She lives in Whitefish with her husband Dave and two daughters, Madison and Cassidy, where they enjoy the wonderful skiing at Whitefish Mountain Resort, the excellent Nordic courses maintained by Glacier Nordic Club, scenic hikes in Glacier National Park and the pristine water of Whitefish Lake. Contact Linda about opening a Donor Advised Fund, investment options, Circle of Giving, Planned Giving questions and setting up a Legacy Fund, WCF board and governance questions, nonprofit governance questions, and WCF grant programs. Daria started her tenure with the Community Foundation as a contract accountant in 2002. Today, she serves as the Vice President of Finance and Operations. Prior to joining our staff she worked as an independent accountant for various businesses in the Flathead Valley, including many nonprofits. She holds a BBA in Accounting from the University of Miami and has previously worked as an auditor and senior accountant in Miami. Daria has lived in Whitefish since 1998 with her husband Juan and two children, Sarah and Mathew. Contact Daria regarding financial questions, tax receipts, donation questions, fund statements, tax questions, accessing your fund online, nonprofit accounting,and governance questions. Lynnette Donaldson joined the Whitefish Community Foundation in 2016 as the Donor Relations and Finance Assistance. She has most recently moved to be the Whitefish Community Foundation’s Program and Outreach Officer. She holds a B.Sc. in Pharmacy from the University of British Columbia and moved to Whitefish in 2002 from Nelson, British Columbia, where she worked at the community hospital as a clinical pharmacist. 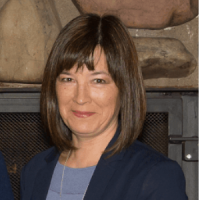 She has enjoyed working with Whitefish nonprofits, and most recently has served on the Board of Directors of the North Valley Music School, Whitefish PTA, and Project Whitefish Kids. In 2005, Lynnette and her husband Mark founded the medical continuing education company Med WoRx, which she managed until several partners retired in 2015. Lynnette, Mark, and their children Sam and Georgia spend the winters skiing, and summers golfing and hiking. Contact Lynnette if you are a non-profit with questions about applying for a grant, applying for the Great Fish Community Challenge, or if you are a non-profit with general questions on how the Whitefish Community Foundation can help. Linda joined the Foundation as the Administrator in 2012 and worked in that capacity for two years. She is now supporting the organization by working on Special Projects. 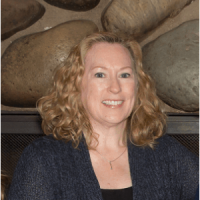 After moving to Whitefish in 1989, Linda was a stay-at-home mom for many years, filling her time as a board member or volunteer in a number of nonprofit organizations. 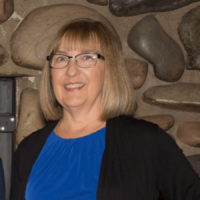 Once her sons, David and Willie were off to college she was able to put her nonprofit and administrative experience to work at the Whitefish Community Foundation. She and her husband Russ enjoy kayaking, skiing, and traveling. Contact Linda H. regarding tax receipts, making a gift online and accessing your fund online. Haley joined the Whitefish Community Foundation in 2019 as the Administrative Assistant. She grew up in Whitefish, graduated from Whitefish High School, and went on to earn a B.S. in Environmental Horticulture: Landscape Design from Montana State University, with a Minor in Horticulture and a Minor in Business Administration. After graduation, Haley moved to Las Vegas, NV to work for the NHL’s newest franchise, the Vegas Golden Knights as the Director of Guest Services and Events. Her love of fly fishing, skiing, and being outdoors brought her back to living in Whitefish. Contact Haley to be added to our mailing lists, registering for workshops and events, and general questions.